As part of their morning ritual, most men face the bathroom mirror each day and proceed with the process of shaving. How a person starts their day usually can dictate the course that the rest of their day will take. To the average slice of life male, who commonly doesn’t use top quality shaving products, this chore isn’t always enjoyable, and it can set the stage for a less than pleasing remainder of the day. Not using first class shaving tools can cause bleeding nicks and cuts, razor burn and perhaps even a rough, undefined shave overall. About 90% of males however, endure this torture on a daily basis. On the other hand, the finer slice of life mentality creates a shaving utopia that not only sets your day off on the right foot but leaves you feeling on top of the world, totally refreshed and invigorated. This male begins his shave with cool sandalwood pre-shave oil that makes the endangered hairs stand at attention. 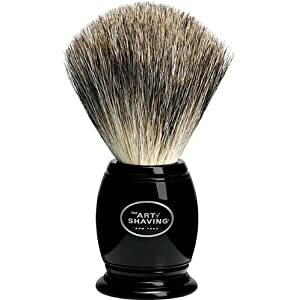 Next he picks up his black badger-tailed shaving brush and lathers on the Art of Shaving scented shaving cream. Removing his custom-weighted Gillette Fusion Power Razor with Pro-Glide blades from the matching Chrome Collection stand, he enjoys the smooth as silk swipes of the top quality razor as it glides across his skin. The icing on the cake is applying sandalwood after-shave balm to the face and neck, gazing at his reflection in the mirror and knowing this is going to be the best day of his life. There is an old saying that states “clothes make the man”. The Art of Shaving’s products and the feeling the store provides hits the nail right on the head. Surrounding ourselves with top quality products and taking the extra step with a little pampering, can energize us into feeling better and also bring a higher level of confidence to every step we take. This is the feeling any one of us can achieve by not cutting corners, not skimping on details and focusing ourselves on the finer things in life. 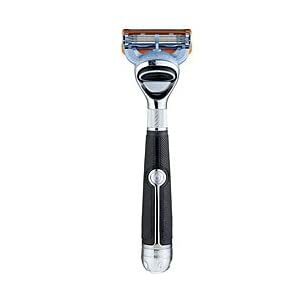 Find the closest The Art of Shaving store to you or go to their website. Pencil yourself into your own to-do list today and enjoy the first class, top quality products The Art of Shaving has on hand. Performing the shaving ritual described above one time, will convince you that this is the way you want to begin every day. A finer slice of life awaits you. For your convenience, I have included my favorite products below. Fusion Chrome Power Razor - The Fusion Chrome Collection Power Razor is perfectly balanced and weighted to feel like a natural extension of your hand, maximizing stability and control. Gentle micro-pulses help you reduce friction and increase razor glide. The built-in spotlight reveals details normally in shadow to help you avoid missed spots and make every stroke count. Shaving Cream – Sandalwood - The Art of Shaving Shaving Cream softens and lifts the beard for a close and comfortable shave, and protects the skin from irritation and razor burn. Rich with glycerin, coconut oil and essential oils, the shaving cream leaves your skin smooth and moisturized. Perfectly lathered up with shaving brush below. 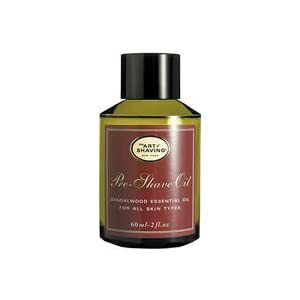 Pre-Shave Oil – Sandalwood - Pre-Shave Oil is the first step. It softens the beard and prepares the skin for a close and comfortable shave without leaving an oily residue. It is formulated with a unique blend of botanical ingredients and essential oils. Be sure to apply an ample supply of Pre-Shave Oil before shaving for practically reducing the chance of any nicks and cuts. Black Badger Brush - Each shaving brush is handcrafted using only the finest badger hair available. Brush handles are designed for elegance and durability, as well as for their comfortable shape. Shaving brushes generate a rich and warm lather, softens & lifts the beard, help release trapped hairs, bring sufficient water to the skin and gently exfoliate. After-Shave Balm – Sandalwood - The Art of Shaving After-Shave Balm refreshes and hydrates to soothe the skin after shaving. Formulated with shea butter and a touch of grapeseed extract, it moisturizes and revitalizes to promote healthy looking skin. Antiseptic and alcohol-free. Shaving Brush & Razor Stand - The Fusion Chrome Collection Shaving Stands are handcrafted in polished chrome, sleek and contemporary. 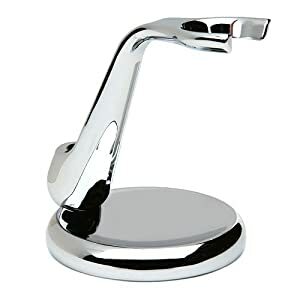 Designed to display either the Fusion Chrome Razor or Power Razor with elegance, while efficiently draining water away and maintaining the handle properly between each use. This entry was posted in Gifts for Him, Things and tagged best things in life. Bookmark the permalink.